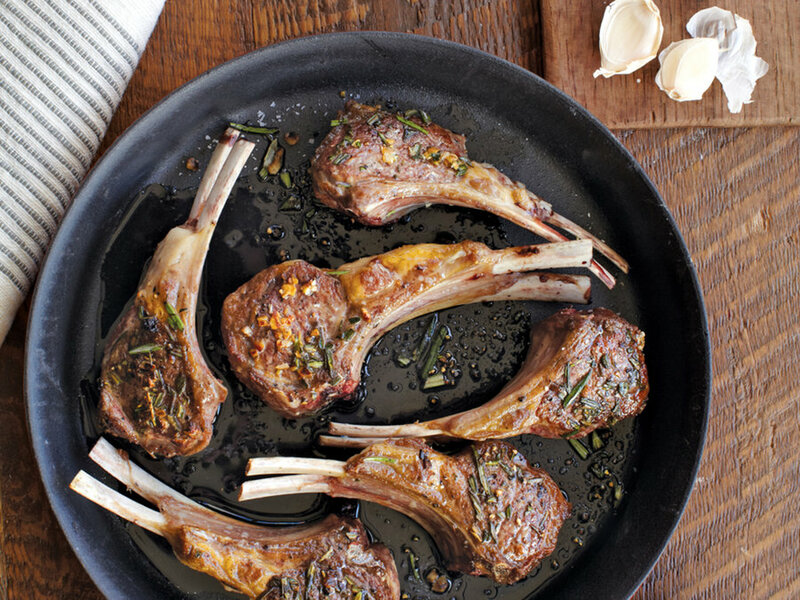 Lamb chops are delicious! In most cases they are reserved for special occasions because they are a favorite and most tender cut of meat. Lamb loin chops are often called “the porterhouse steak of the lamb” and are a favorite cut of meat for a great many people. 1. Finely chop the rosemary, thyme, and garlic. 2. Using a mortar and pestle or small food processor, make into a paste with the salt, cayenne, and olive oil. 3. Spread mixture on to the lamb and marinate in the refrigerator for at least one hour. 4. 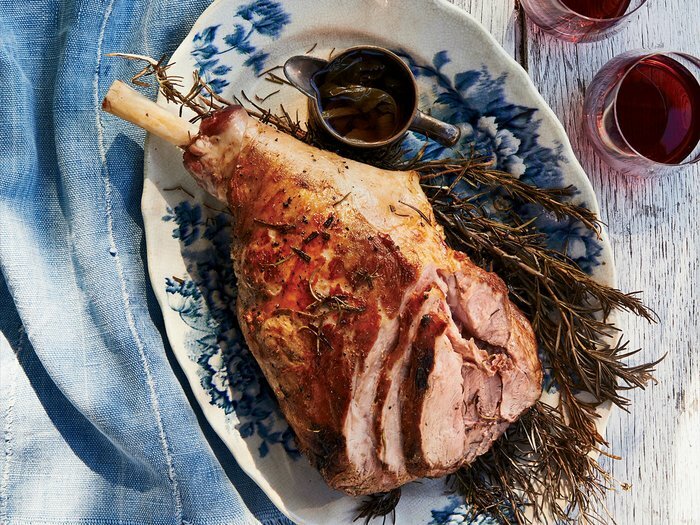 Bring the lamb to room temperature outside of the refrigerator for 20 minutes. 5. Using the grill (indoor or outdoor) or a skillet, put on high heat and cook for 2 minutes on one side. 6. Flip over and grill/cook for 3 minutes on the second side. Our favorite lamb chop side dishes are a Garlic and Olive Oil Couscous with Tabouleh (a salad made of tomatoes, finely chopped parsley, mint, bulgur, and onion, seasoned with olive oil, lemon juice, and salt). It’s fun to try recipes from other parts of the world because we get to try new combinations and flavors, and we have the opportunity to learn where some of these places are on the map. 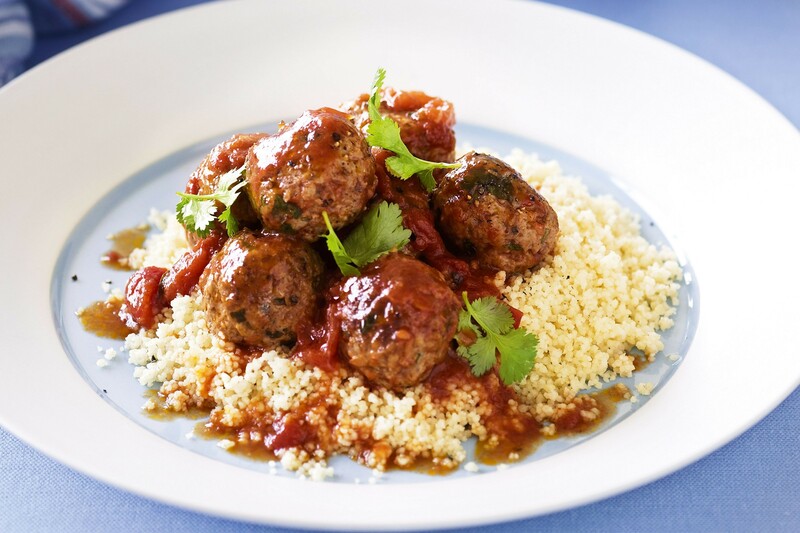 Moroccan Meatballs served over couscous is one delicious way to incorporate ground lamb into your family’s mealtime. Finely chop onion, potato and parsley in a food processor the. Add mixture to the chopped lamb and combine. Mix in egg, bread crumbs, salt, pepper and turmeric. Place in fridge for 10-15 minutes. Form the meatballs and add them to the pot. Add half cup of water, cover and cook for 15 minutes. 1. Using a sharp knife, cover the meat with incisions. Rub the meat with the juice of 2 lemons. 2. Mix together the olive oil, rosemary, thyme, garlic, salt and pepper. Rub this mixture all over the lamb. Place slices of one lemon on top of meat, cover and let rest in refrigerator overnight or for a minimum of one hour. 3. Remove from refrigerator and, if necessary, remove excess marinade. Place the lamb on a rack in a roasting pan. Cook at 425° F for 30 minutes. 4. Lower temperature to 325° F and cook uncovered for 20-25 minutes per pound. If the pan begins to dry out, add some white wine to keep it wet. 5. When the meat reaches an internal temperature of 145° F, remove it from the oven and let rest 10 minutes before slicing. 6. Garnish with remaining lemon slices and some rosemary sprigs. Simmer stock for at least 12 and as long as 72 hours. Just before finishing, add the parsley and simmer another 10 minutes. You will now have a pot of rather repulsive-looking brown liquid containing globs of gelatinous and fatty material. It doesn’t even smell particularly good. But don’t despair. 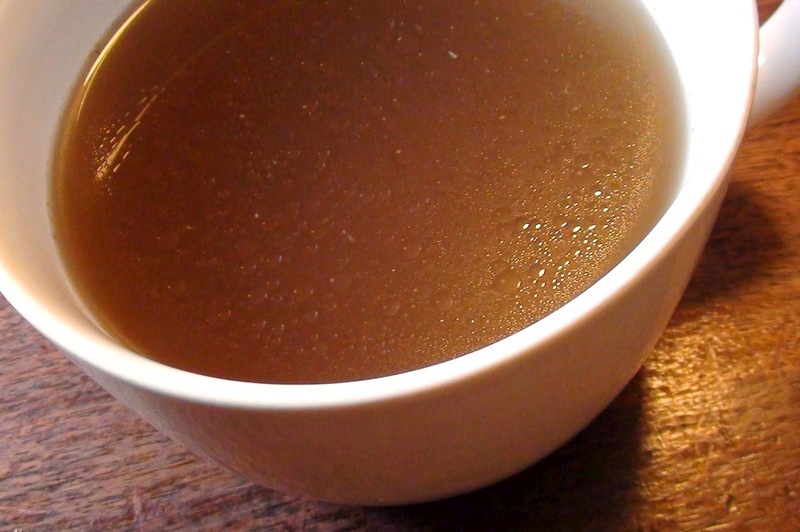 After straining you will have a delicious and nourishing clear broth that forms the basis for many other recipes. In a small dish, mix together turmeric, black pepper, salt, and crushed red pepper seasoning. In a large pot, heat olive oil over medium high till hot (not smoking). Saute for 10 minutes until onion softens and starts to turn golden brown. Add the lamb stew meat to the pot. You can use bone-in lamb meat, boneless meat, or a combination of the two. Brown the meat for a few minutes on each side. Drain the fat that collects at the bottom of the pot. Sprinkle the seasonings evenly across the top of the browned meat. Cover the meat with 4 cups of water. Bring mixture to a slow boil, then reduce heat to medium low. Simmer on medium low heat for two hours. After 2 hours, add tomato paste to the pot and stir slowly until paste dissolves into the broth. Simmer for another 20 minutes uncovered, stirring occasionally, until the meat is nice and tender and the sauce has thickened. Taste and adjust seasoning, adding more salt and.or spice, if desired. Garnish the stew with fresh parsley or cilantro. 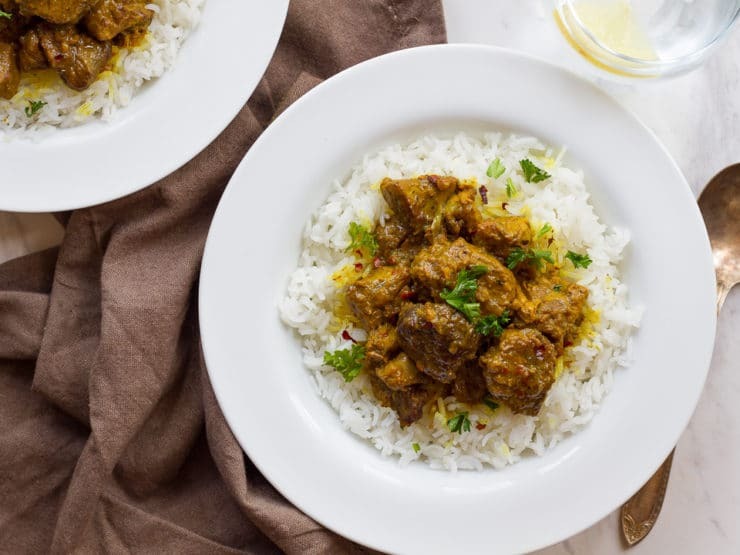 Serve lamb and sauce over freshly steamed basmati rice. 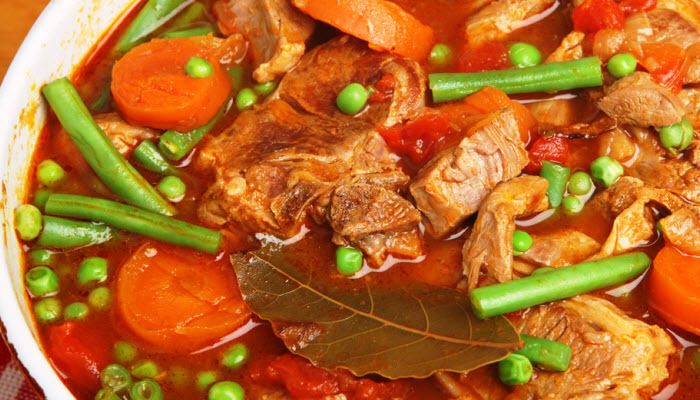 A hearty lamb stew is perfect for fall and winter meals. 3 lbs. Boneless Lamb for stewing cut into 1 inch pieces. In a large stock pot heat 1 Tbsp oil and add the onion, garlic, lamb, salt, and pepper. Cook for 1-2 minutes and then add the flour. Coat the meat and cook for another 2 minutes. Stir often. When the meat is brown add the stock, wine, water. Stir in the pieces of the meat that may have cooked to the bottom of the pan. Cook for about 10 minutes on low heat. Add the potatoes, carrots, and rosemary. Stir often and cook for about 20 minutes. If more liquid is needed add some stock. Add the peas and the green beans. Cook on low for about 10 minutes. Check to see if meat is tender and the potatoes and carrots are soft but not mushy. Adjust seasonings to taste. Remove from stove and remove bay leaf. ~ What is Restoration Agriculture? Enter your email address below to receive notifications of our latest updates via email.